Patty Schwalenberg, Executive Director of Chugach Region Resources Commission, visits KNBA in early November, 2017. Today's guest on Our Community is a longtime Executive Director of the Chugach Regional Resources Commission. At an annual award luncheon hosted by the Alaska Conservation Foundation, CRRC's Patty Schwalenberg was awarded the 2017 Caleb Pungowiyi Award for Outstanding Achievements by an Alaska Native Organization or Individual. Patty Schwalenberg is executive director of Chugach Regional Resources Commission, a nonprofit inter-tribal organization dedicated to conservation of natural resources in the Chugach region. "Background on the award: The Caleb Pungowiyi Award was named for the late Caleb Pugowiyi, a Siberian Yup’ik from the community of Savoonga on St. Lawrence Island, who worked tirelessly to protect the vital link between Alaska Native culture and a healthy environment, with a distinct interest in issues related to marine mammals. He understood that the Natives' well-being was tied to a healthy environment and he worked collaboratively with Oceana and many other environmental groups over the years. It is only fitting that ACF’s award for outstanding achievement by an Alaska native organization or individual be named for Caleb." "For nearly 35 years, Patty has been actively engaged with tribes across the country and Alaska on natural resource issues, including those related to migratory birds, marine mammals, fisheries and climate change. She has worked with tribes and members of Congress on issues related to the Endangered Species Act, Migratory Bird Treaty Act, Marine Mammal Protection Act and national resource policies that affect tribal governments. She is the director of the Alaska Migratory Bird Co-Management Council which develops proposed regulations for the subsistence harvest of migratory birds, and has facilitated the involvement of the Chugach Tribes as members of the Indigenous Peoples Council on Marine Mammals. Patty was instrumental in the creation of two accredited tribal natural resources management courses at the University of Alaska-Fairbanks College of Rural Alaska and the development of a K-12 science curriculum that integrates Alutiiq indigenous knowledge with western science in a way that is easy for students to understand. In 2015, Patty received the Chief Sealth Award for Outstanding Contributions toward the Preservation, Protection and Prudent Conservation of this Nation’s Vital Fish and Wildlife Resources from the Native American Fish and Wildlife Society for her exceptional work with tribes in this arena. Throughout her career, Patty has been deeply committed to protecting indigenous subsistence ways of life with the understanding that they depend on healthy ecosystems. She works tirelessly to protect the natural resources that sustain Alaska Native cultures through innovative problem solving, collaboration, effective communication and building conservation support within Alaska Native communities through meaningful involvement in research and management projects while building connections between Native and non-native cultures that share a common goal to protect Alaska’s natural environment." 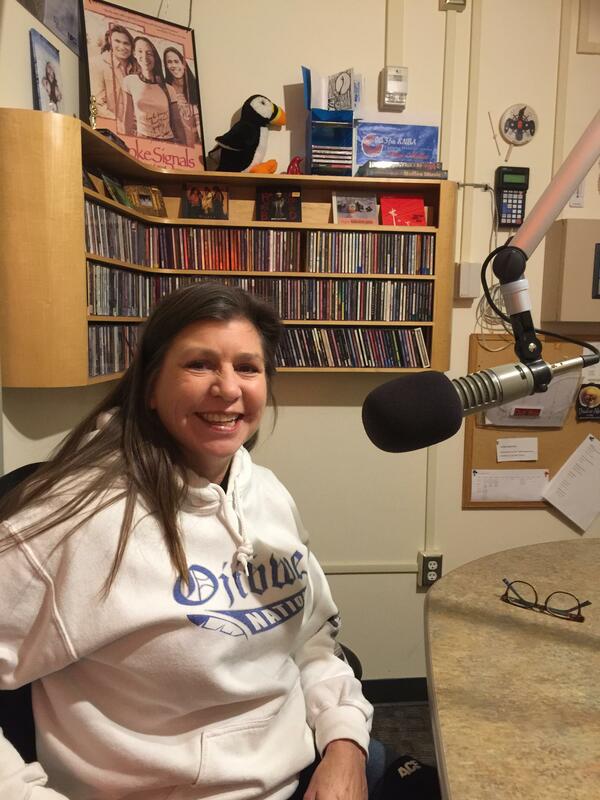 The Executive Director of Chugach Regional Resources Commission, CRRC, Patty Schwalenberg visits with KNBA. Schwalenberg credits her colleagues and the tribes she works for, for the success of CRRC, and her winning of the award. Today on Morning Line, Frank and Danny visited with Karen Evanoff and Rachel Mason about an event this evening at the Mountain View Library, which focuses on Indigenous Women and Subsistence. The two women will be the speakers - Karen has an insider's viewpoint, and Rachel has more of a researcher's viewpoint in this case. For years, the Ninilchik tribe has been seeking — and last week was granted — approval to use a more effective method of catching its subsistence allocation of Kenai River sockeye salmon. The change in gear type has raised concerns about its take of king salmon, a fishery that's been in decline for several years. Rather than dip netting, the Ninilchik Traditional Council can now set a gill net. Ahtna, the Native for-profit corporation for Eastern Interior Alaska, asks Congress to approve its proposal to co-manage fish and game on its lands, saying Natives can't compete with people who travel to the region by road to hunt. The first in a series on Aging in Alaska, demographers outline the coming population boom of Alaskans age 65 and up.